The Long Table is a dinner party set for twelve, where conversation is the only course. 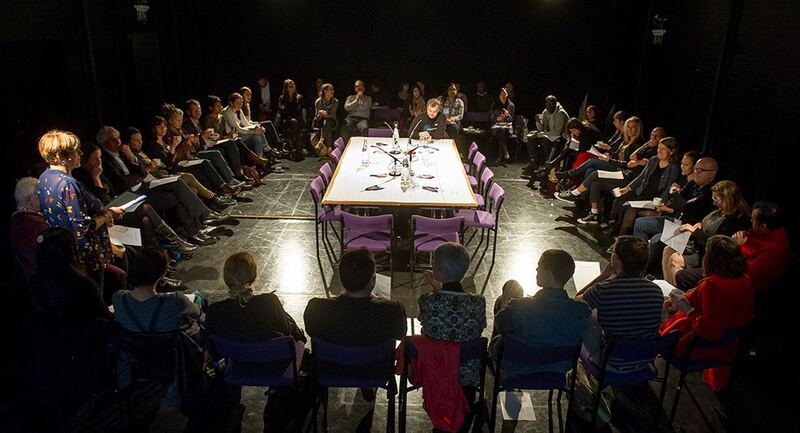 Creating a democratic forum for public discussion, in creative response to conventional hierarchies of ‘expert panels’ and ‘audience questions’, this dynamic structure encourages free movement between speaking and observing. Anyone is welcome to take a seat at the table and offer their individual perspective on anxieties – personal, local and global. The components are simple: a long table, chairs, a paper tablecloth, pens. Participants are welcome to scribble ideas or comments. There is an etiquette to be observed. There can be silence. There might be awkwardness. There can always be laughter. Dozens of Long Tables have been held around the world; on topics as diverse as human rights, housing crises, democracy and gender. The Long Table is open-source. Guidelines and a printable ‘etiquette’ can be downloaded from the Split Britches website. Recommended for those with a vested interest in mental health and the voice of experience. Open to anyone who wishes to drop in and discuss the big issues of the day. Recent work includes: Miss America (2008); Lost Lounge (2009) and RUFF (2012). 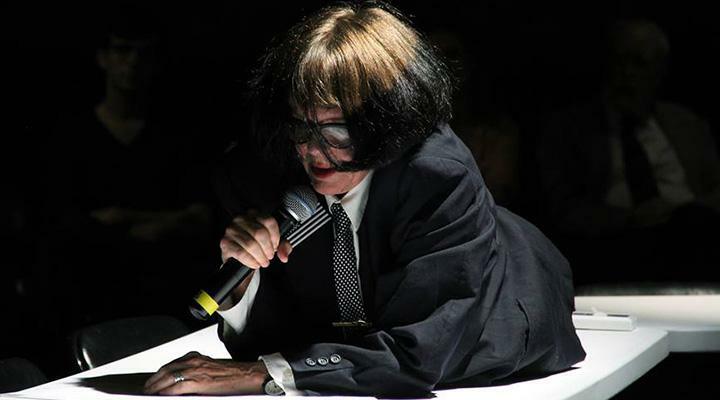 Split Britches’ collection of scripts, Split Britches Feminist Performance/Lesbian Practice, edited by Sue Ellen Case, won the 1997 Lambda Literary Award for Drama. 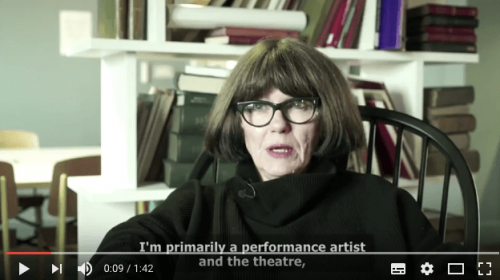 In 2012, Split Britches was presented with the Edwin Booth Award by City University of New York in honor of their outstanding contribution to the New York City/American Theater and Performance Community. Lois was named a Senior Fellow by the Hemispheric Institute of Performance and Politics in 2014. She is a 2014 Guggenheim Fellow and a Wellcome Trust Engaging Science Fellow for 2016-18.